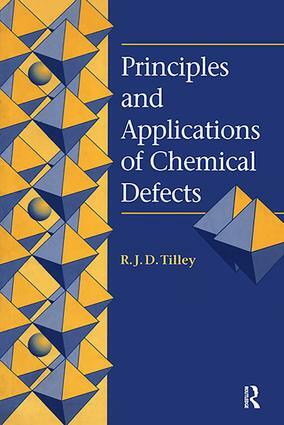 The aim of this text is to provide some insight into chemical defects in crystalline solids. Chemical defects, which are mistakes or changes in the atomic make-up of the crystals, have far-reaching effects on the composition, optical properties and electronic properties of materials. The area is therefore of relevance to chemists, physicists, materials scientists and engineers. The book has been designed to be read by students with no prior knowledge of the subject, but with a background in basic chemistry and physics. It begins with relatively simple ideas but progresses into a discussion of complex materials, at the forefront of research in the field. The links between principles and applications have been strengthened in the text by the inclusion of a series of case studies. In addition, the crystal structures that are of most importance have been described throughout the book in a series of boxes, to provide a crystallographic reference within the text.